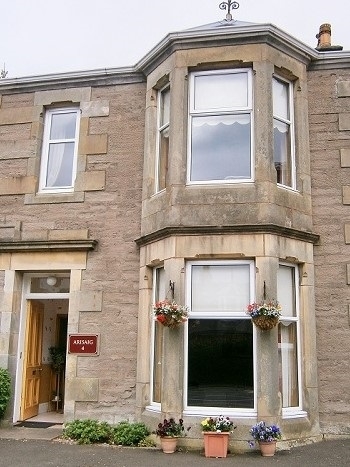 A centrally located Guest House located a 10 -15 minute walk to the centre of Beautiful Perth. 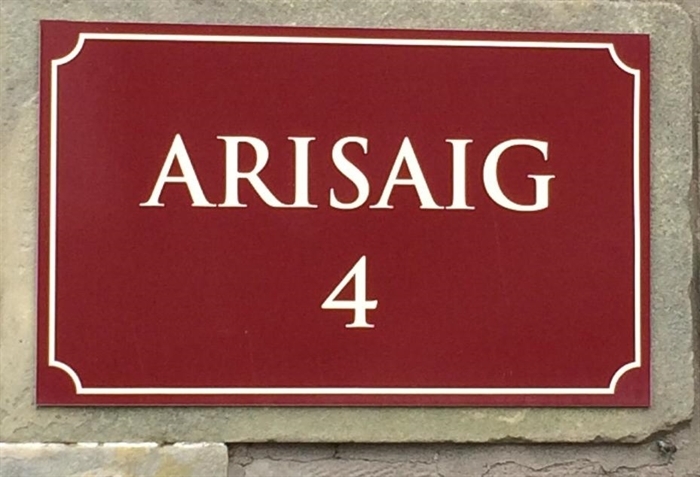 Arisag is a 5 bedroom guest house, with all rooms en suite recently decorated to a high standard for guest comfort and enjoyment .If you are looking for a relaxing and friendly stay, with fluffy towels and luxury toiletries, and a delicious Scottish Breakfast, Arisaig is for you. For breakfast I offer a wide choice of cereals,muesli, pastries, yogurt, fresh bread, fresh fruit salad, fruits, and fruit juices,then there is a full Sottish breakfast, or Smoked Salmon and Scrambled Eggs or Haggis and poached eggs, I cater for most dietary requirements, and am happy to adapt the menu to suit, ensuring your enjoy every mouthful. 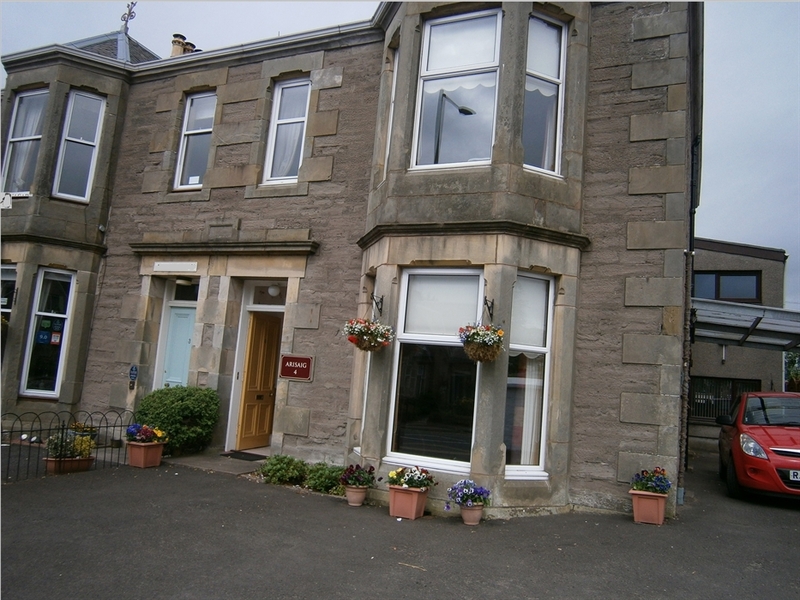 Arisaig Guest House is a fine Victorian blone sandstone villa conveniently situated 10-15 minutes walk ( depending on how fast you walk !!) from the heart of the beautiful City of Perth in Scotland. 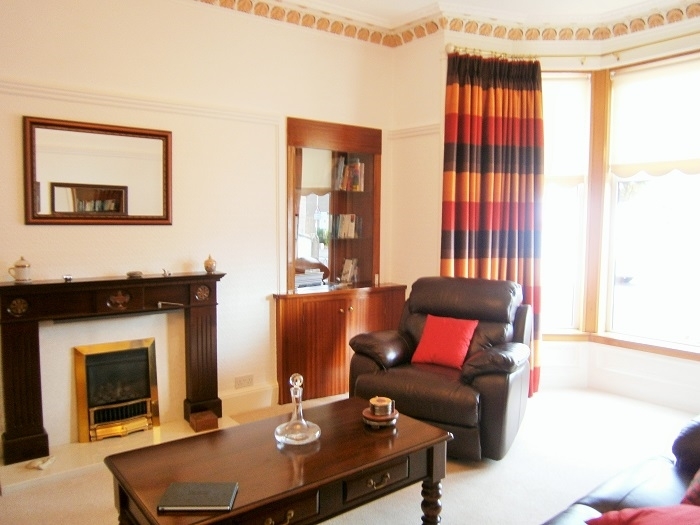 Arisaig has 5 bedrooms, a familly room, a single and 3 doubles. All bedrooms at Arisaig are ensuite with fluffy towels and luxury Scottish toiletries. 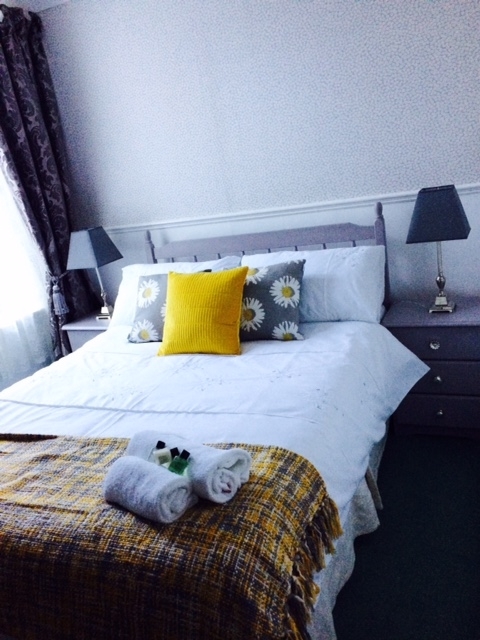 All bedrooms have hair dryers, tea and coffee making facilities with some home made Scottish tablet and free WIFI. There is a free private car park at the front of Arisaig. After a good nights sleep you will be ready for a tasty Scottish Breakfast . Arisaig offers fresh coffee, and locally sourced products where possible to create a memorable breakfast that will set you up for your days adventures. So if you are looking for a friendly and relaxing stay Arisaig is the place for you, catering for the single traveller to group bookings, for short term stays to long term everbody is welcome !! Ideally located , Arisaig is a 25minute walk from the wonderful Balhousie Castle (Blackwatch Museum), which is full of fabulous artifacts that will keep all the family interested, there is also a very good tea room onsite that sells the most wonderful cakes !! Scone Palace is a 2 minute drive from Arisaig , and this is a must see !! Historically important to Perth and Scotland, this wonderful palace holds many treasures for all to see, with wonderful surrounding gardens, shop and tea room, where you can have a scone at Scone. The city centre which is a 10 - 15 minute walk away over an old bridge with spectacular views, has a fantastic museum, art galley, parks with walks along the river, and the Old Maids House, along with many fabulous cafes, bars and restaurants, some of which offer a good discount to my guests.